Let's do this for the planner. Sembreak was over. It really went by so fast. Though I really had a blast, I have to face the reality that I have to go back to Manila. The break that pass by was really the best so far. Me and my cousin spent most of the time together. And I really spend my break wisely to relax myself. So it is really hard to leave. But Manila is a part of my life too. And I love it here. Something that I look forward every 2nd sem is the Mendiola Party. It was supposed to be San Beda Party because the reason of this is them being a 6-peat CHAMPIONS. 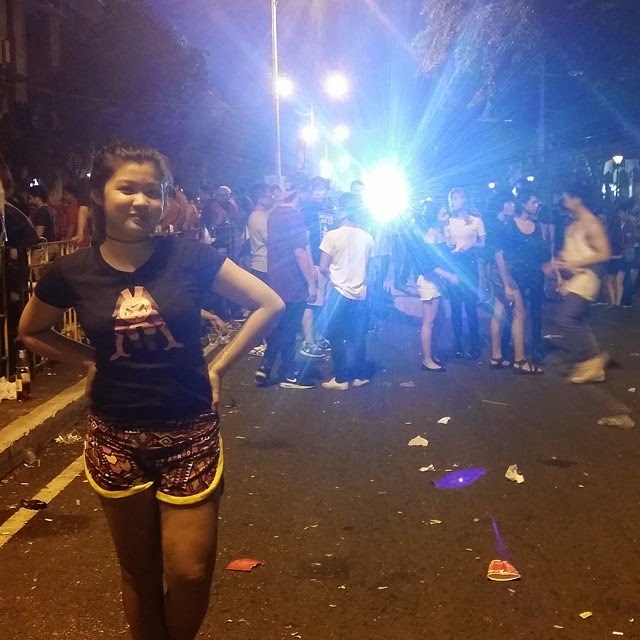 But then, a lot of people from different schools especially from the four schools here in Mendiola attended the STREET PARTY. So we rather called it the MendYOLO Party. This year was not like the past years because they have live band now. It was really a fun party. My mom attended a meeting on DOE at Taguig so she asked me to come over so we can go shopping after. So I waited her at Market Market before her driver and 2 bodyguards fetched me. 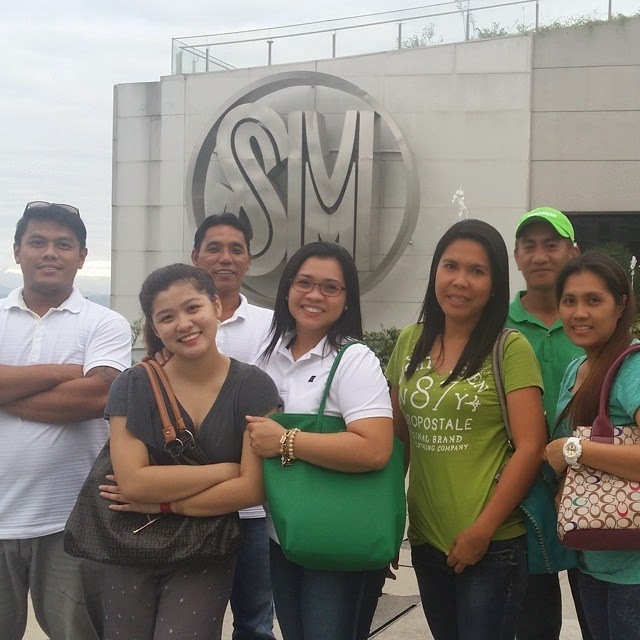 After that we went to SM Aura to eat at Magnum PH. I helped my mom in buying 1 pullover at F21 and 1 formal jacket at Uniqlo. I also bought 1 highwaisted jeans and a cropped top at F21. I got sick and was hospitalized for 2 weeks so I got stuck up in there and just watched movies/series/tv shows. So when I went back in MNL. Everyone was like "Okay ka na?" "Bakit ang tagal mong nawala?" "Akala namin di ka na babalik" "Walang maingay sa corridor" Seriously? 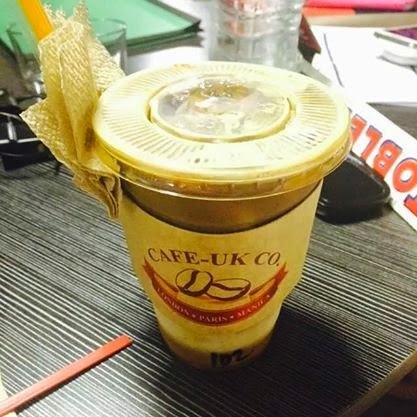 It am glad to be back so because we are a coffee lovers, not just starbucks lovers, and I miss the opening of Cafe UK co. Mendiola Branch to open we and few of my friends have a simple welcome back party catching up at the Cafe UK. 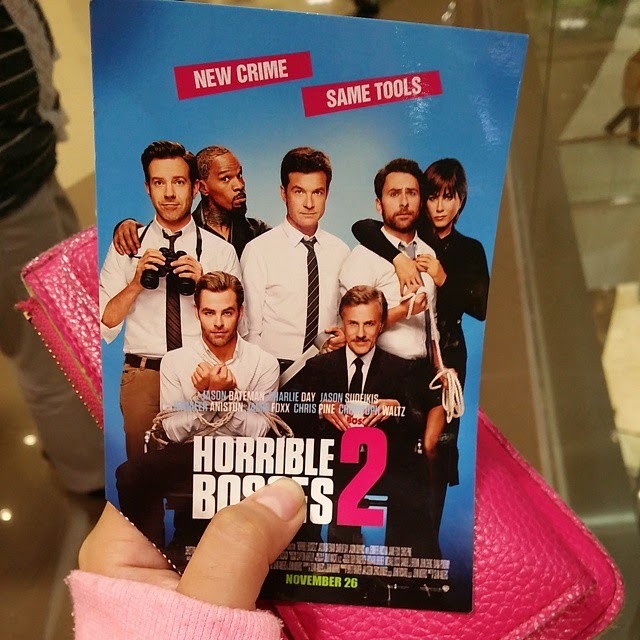 So my friend Reg invited me to watch the Premiere Night of Horrible Bosses 2. I haven't watch a premiere night lately and I think the last time was Wolverine which I think was almost a year ago. So I went over to her house and she drove us to SM Aura. It was the first time that the premiere night was held there. I forgot the work of her dad but they always have tickets for premiere night. The movie was great and I really laugh hard. Happy Thanksgiving! Sad to say PH doesn't celebrate thanksgiving. I wanna eat turkey! 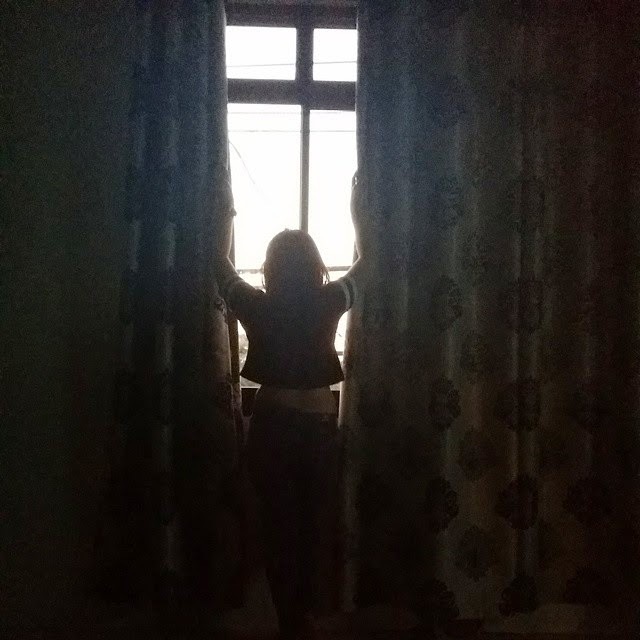 So when I saw this picture on twitter, I copied it and post it on my IG account. CTO. 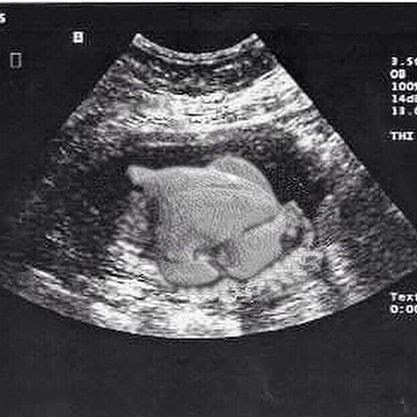 I really wish I can eat a turkey tho. It was again the season of collecting stickers for the Starbucks planner. I wish I can finish collecting. I really love their planner this year. And I want to try their holiday coffees. 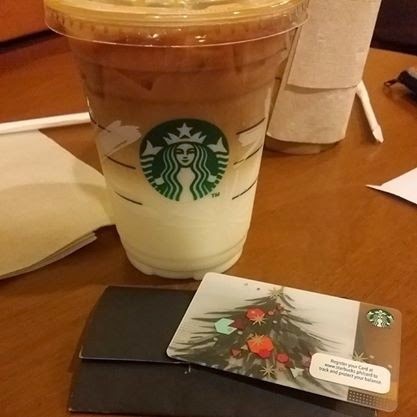 My favorite was Caramel Macchiato but I can have only 9 of it and 9 of the Christmas beverages. Goodluck to me. I found a tattoo choker as a really cute accessories. I also have one as an anklet. This was trending on blogger world and even few teenagers have this. 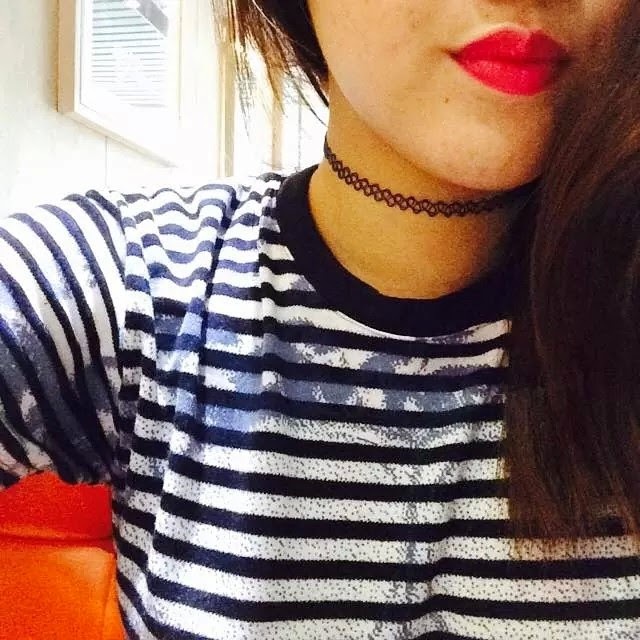 I saw a lot of girls having differen kinds and colors of chokers. And I found myself smiling on that.